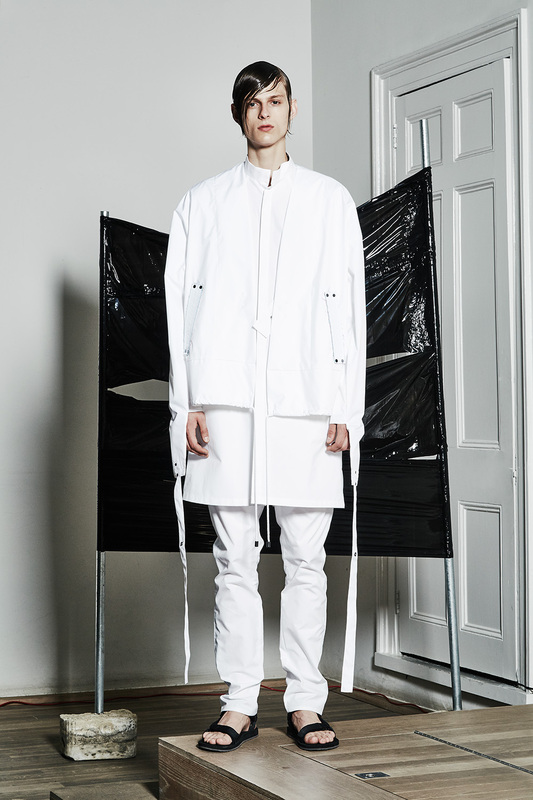 The collection was influenced by the texture and sensibility of the Poster Paintings series by artist Klara Lidén. Lidén’s four-inch wads of advertisement bills glued together reveal the aggression and potential rebellion that bubbles under the surface of urban spaces and their inhabitants. It is their ragged edges that provide recognisable signs of everyday life and social normality. 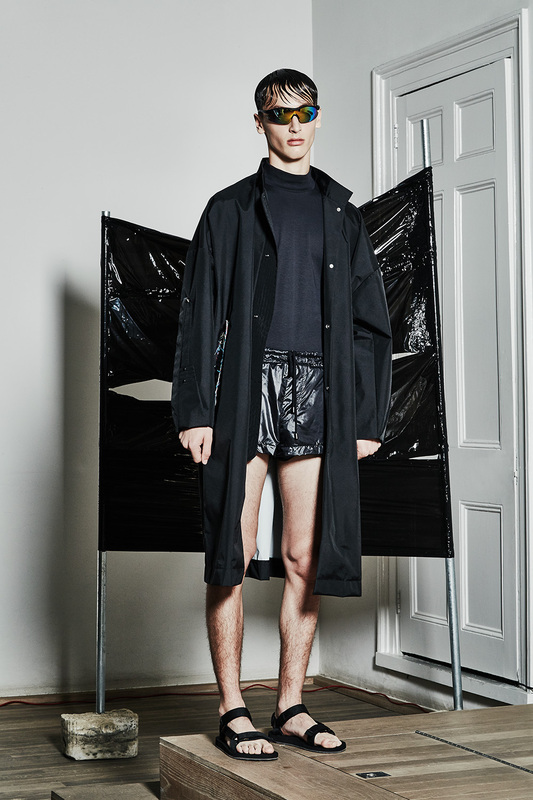 Wads of layered cotton in cyan, magenta, yellow and black – fastened over pocket openings on long shorts and cocooning outerwear – suggest materially and momentum in a digital age. 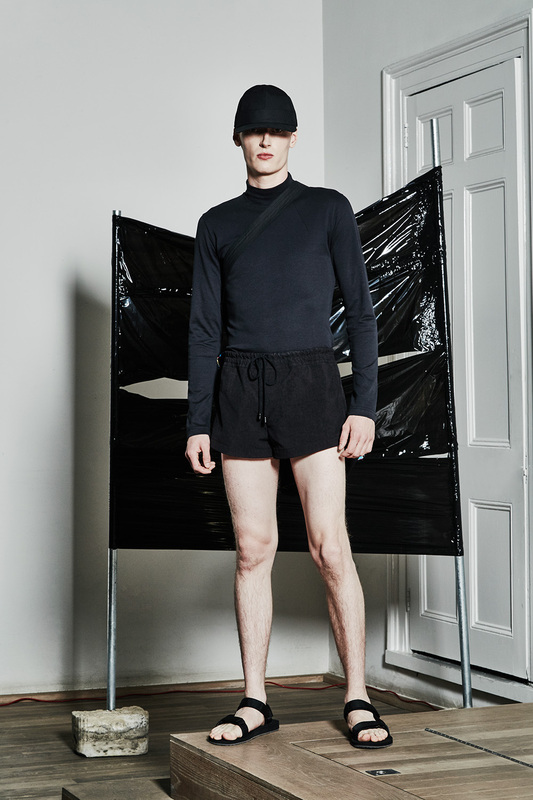 BERTHOLD SS16 explored dress that is designed to protect and control. 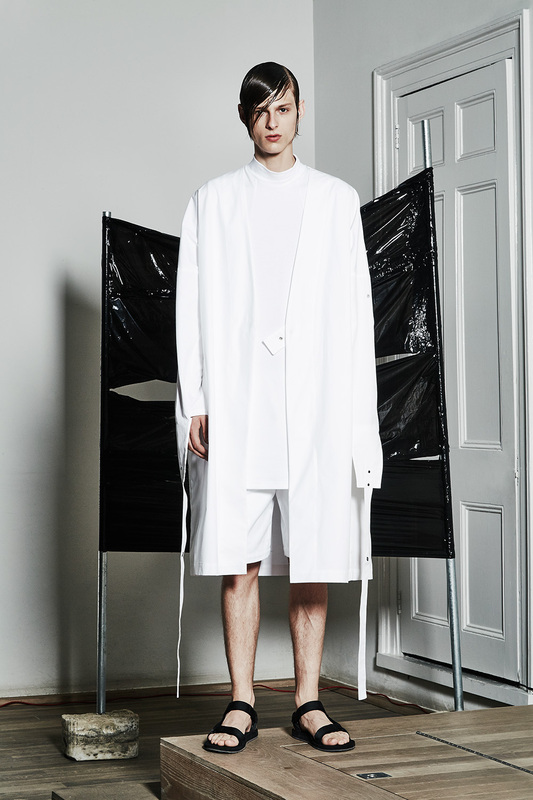 The opening of heavy archival hospital gowns influences the split back of a shirt coat and the volume of protective morgue coveralls is translated into cuffed wide leg trousers. 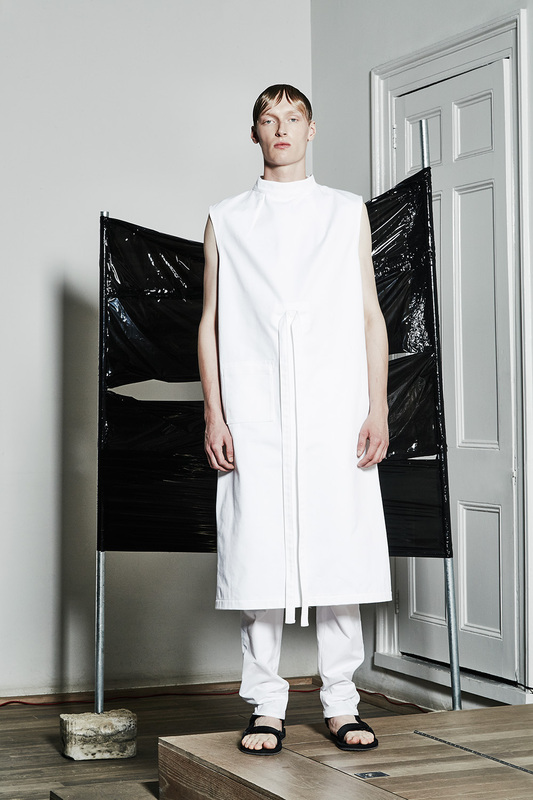 The straps and rivets of straitjackets and vintage medical uniforms were translated into muscular clothes that despite their shadowy undercurrent remain decisively light.